Nothing is more appetizing than great reviews and ratings. Restaurant owners need to ensure satisfaction for diners. These days, everyone’s a critic. 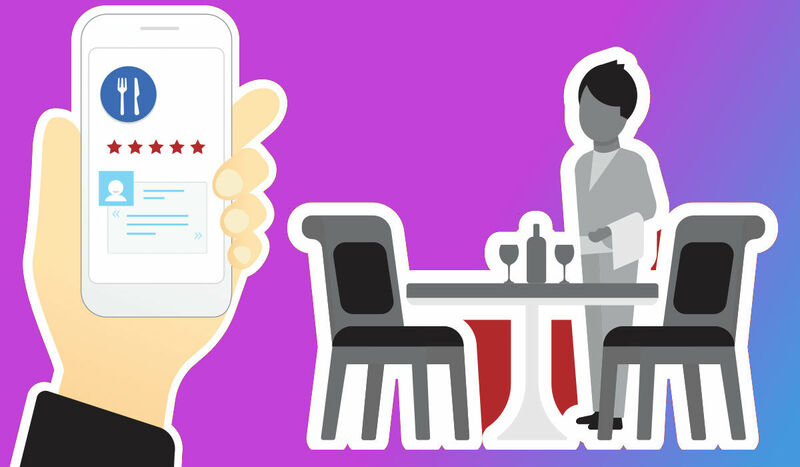 Online review sites have a huge influence for restaurants. Most people are more likely to try a new restaurant if someone they know (and trust) recommends it, but it isn’t limited to that, and online reviews wield enormous power towards the success of a restaurant. Word of mouth goes a long way. Review websites can provide a real advantage for both independent restaurants and chains alike. Not only do they provide details like name, address, hours, reviews, and sometimes a menu, but they’re far more likely to appear in organic search than the websites of most restaurant owners, and can provide an enormous amount of referrals. But only if you take your online reputation seriously. In a study by Harvard Business School, it shows that an increase of just one-star rating increase on Yelp can lead to a 9 percent revenue increase for a restaurant. In another study (Berkeley University) it suggests that just a half-star improvement of a Yelp rating actually makes it 30-49 % more likely that a restaurant would sell out seats during their evening peak hours. It’s not always easy to get reviews, even when you’ve earned them. 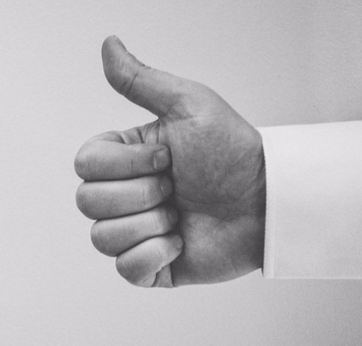 Creating a process or using a review management tool like NiceJob helps to generate a higher success rate and more reviews than relying on customers to simply remember on their own. Most satisfied customers are happy to leave a tip, but few leave a review. However, just by asking them, many are willing to comply. In many cases, all it takes is to ask. But people become busy and often forget. While you can leave reminders within your store, near the register and even on the door to see as they leave, there are additional ways to ensure you make the most of those happy patrons. Print a request on their bill, or include a little card as a reminder. But the best option is to entice them to share their email, possibly by mentioning a loyalty program or similar. Then you have a way to reach out the next day, and week after that. Poor customer service is often the main reason people won’t return to a business, and this especially applies to restaurants. How they were treated tops the list, but other issues can include whether they were promptly seated and served. According to one business consulting group (Lee Resources) around 80% of companies are convinced they deliver "superior" customer service. Yet when surveyed, about 8% of these people believe the same companies provided "superior" customer service. A vast difference, and important distinction all businesses should look into. Bottom Line - exceed expectations anywhere you can. Coming in a close second, the overall experience of what they came for (the food) needs to be more than ok if you want to earn positive online reviews. It’s no surprise that poor food quality won’t bring many customers back, and can even lead to negative reviews. If you think you can’t please them all, it’s more serious than that. Low star ratings have a big influence on whether your business is chosen to visit. 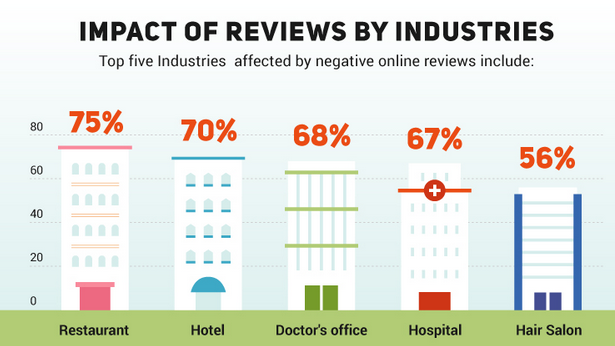 In fact, one study suggests that businesses with as low as one star directly impacts revenue, although its proven multiple times that poor online reviews and low ratings drive less customers. Bottom Line - make it worth mentioning to others. Presentation of your establishment is important, and it goes double for a restaurant. Strange smells, dirty tables (or food under them) along with unsanitary bathrooms are all red flags for diners. Bottom Line - keep it spotless, its expected. Another reason patrons might not return to a restaurant is a lack of options, from selection and healthy eating to organic or gluten-free, it helps to provide a few choices. Bottom Line - A little something for all is appreciated. Other considerations for restaurant owners can include things like loyalty programs or incentives, and consistency in the overall customer experience, including food, cleanliness and service. If you’re wondering what the most important online review sites for restaurants to monitor for reputation management, the following list is of our recommendations, and the order represents which restaurant review sites might have the most influence as well. The above list is far from conclusive, with others like Citysearch, Savored, Foodspotting and hundreds more, it isn’t possible to name (or monitor) all, so we narrowed it down for you. While few will make it inside the Michelin Guide, the above restaurant review sites represent the majority a restaurant owner might be concerned with. To effectively manage and monitor your restaurant’s online reviews, be sure to sign up for instant notification with review sites that offer the feature, like Yelp and TripAdvisor. You can also sign up for Google Alerts to help monitor activity and brand mentions. A word to the wise - respond to all reviews, both positive and negative. Others reading such reviews will see this interaction. It shows you’re interested, which conveys trust. On yelp, these responses can also increase your star rating, which helps revenue.